Breathing is a simple action that we come out of the womb understanding even as we have to be taught other actions that we don’t think about very often as adults, such as how to walk and how to use the bathroom. And as adults, the overwhelming majority of us have to work for a living and may occasionally think about the possibility of being injured at our workplace. However, while thoughts may drift to the physical dangers that could be present in our workplace environments, the reality is that you could also be injured because of toxic substances in the air in the environment where you work. What Was the Example of Poor Air Quality in the Workplace Recently Reported By the Media? The Miami Herald recently reported that an undercover study conducted by an associate professor at the Johns Hopkins Bloomberg School of Public Health found that the air quality on cruise ships may be worse than what the majority of us ever contemplated. After testing the air on two Carnival ships, one Holland America ship, and one Princess ship, the study concluded that there were significant amounts of ultra-fine particles of pollutants which are too small to be regulated under the current standards of the Environmental Protection Agency. There were reportedly between 1,540 and 33,514 particles per cubic centimeter across all four ships. As a point of comparison, a busy street in the notably-polluted city of Beijing showed concentrations of about 30,000 particles per cubic centimeter in 2009. It is clear that cruisers may get more out of their vacations than what they ever imagined. But while these results can have an impact on cruise ship vacationers, those who have the largest risk of exposure are obviously those who work on cruise ships that have air quality problems comparable to those reported in the Herald article. What Rights Does a Worker Have After Being Injured as the Result of Poor Air Quality in the Workplace? The same rights that a worker would be able to obtain benefits for after any other kind of injury that happened at work. As long as an injured worker can show that his or her injury occurred at the workplace during the course of employment, the worker will generally be able to obtain workers’ compensation benefits. Why Do I Need a Workers’ Compensation Attorney to Help Me Obtain Benefits For Injuries That Resulted From Poor Air Quality in the Workplace? According to the National Institute of Occupational Health and Safety, it is still unclear what measurements of indoor contaminants unequivocally show that workers are at risk for disease. Further, even when both an injured worker and his or her doctor believe that the worker is being injured as the result of poor air quality in the workplace, the information available from medical tests and tests of the environment may not be sufficient to establish which contaminants are responsible. Therefore, obtaining a workers’ compensation attorney early in the process of your claim for benefits is vital to helping you successfully prove the circumstances of your injury. 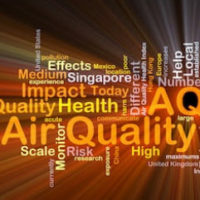 Have You Been Injured as the Result of Poor Air Quality in Your Workplace? If you or someone you love has been injured while working in an environment with poor air quality, we can help. The Miami workers’ compensation attorneys at Payer & Associates have significant experience helping people like you. Begin by contacting us today to schedule a free consultation.